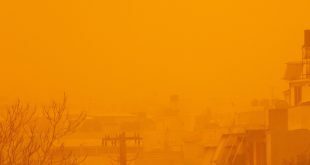 Barometric low “Iokaste” has arrived in Greece with rain- and thunderstorms, heavy snowfalls, very strong winds and temperature drop. According to Greek mythology, Iokaste or Jocaste was Queen consort of Thebes, first the wife of Laius and then of their son Oedipus. The National Meteorological Service (EMY) has issued a weather warning for the weekend February 10-11 2018. 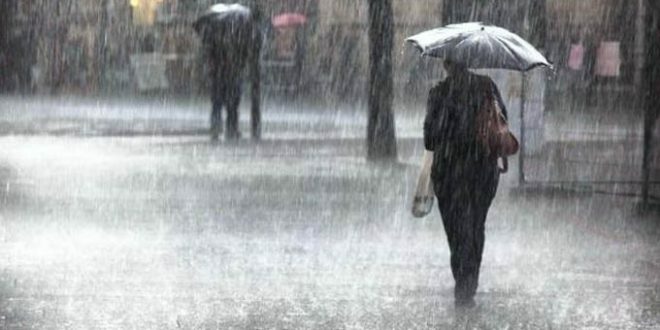 Rainfalls have started in Peloponnese,e South Ionian Sea and Sterea already in the early morning hours of Saturday. The rainfalls will expand across the rest of the country as of the early afternoon and will be intense in the evening. 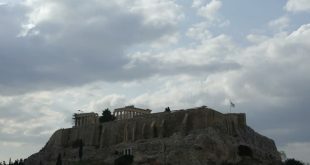 Rainfalls are expected in Athens and Attica, and thunderstorms from the afternoon until midnight. 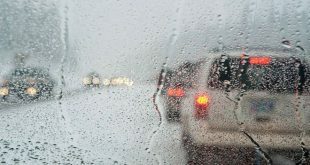 Snowfalls are expected in the mountainous areas, in West Macedonia already above 600 m.
On Sunday, the weather phenomena will be limited to West and North of mainland but also in the Ionian, North and East Aegean. As of early morning: Ionian Sea, West Sterea, Peloponnese, gradually the rest of the mainland, the Sporades islands, Evia and the islands of North Aegean. Evening: The Cyclades islands and possibly Crete. Night: islands of East Aegean and possibly the Dodecanese. Heavy snowfalls in the mountainous ares of the mainland, also Epirus and West Macedonia above 700-800m, and Central Peloponnese. Possibly also Ionian and Epirus. Until Monday morning Central Macedonia and Thessaly. *** Light Snowfall is expected also on the Mount of Parnitha in the outskirts of Athens/Attica above 1000 m as of Sunday morning and heavier as of noon. No much of fair weather is expected next week, although the weather phenomena will be not so strong as over the weekend. However, snowfalls are expected in North-West Macedonia and temperatures at the freezing point or below.